West Point Family and MWR along with ACS would like to thank our West Point military families by honoring you for Military Family Month. Military Family Month is a time to honor the sacrifices of our military families and is celebrated throughout the month of November. Army families serving around the world are being honored through a variety of observances and are being recognized for the commitment and contributions they make every day. Through total army strong commitments, the army will continue to build trust and confidence that the army cares for soldiers and families. At all levels, the army will continue to recognize the continued support and sacrifices army families make every day. 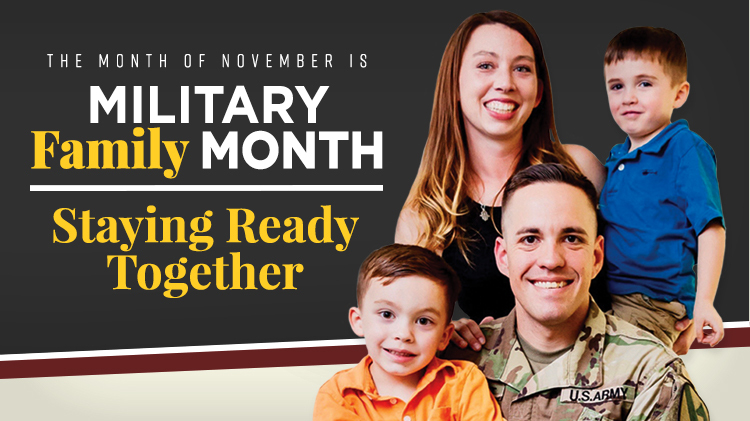 For more information on Military Family Month, visit https://www.army.mil/standto/2017-11-02 or visit our West Point Army Community Service offices.